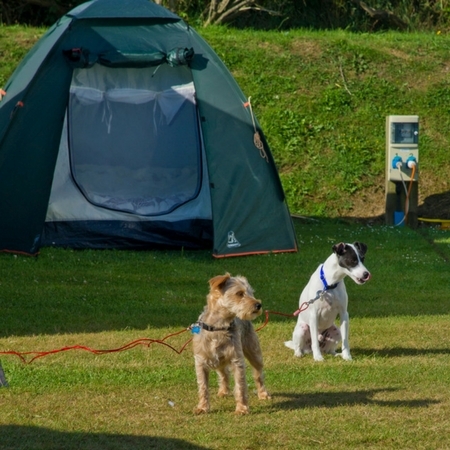 One of the best dog friendly campsites in Cornwall! 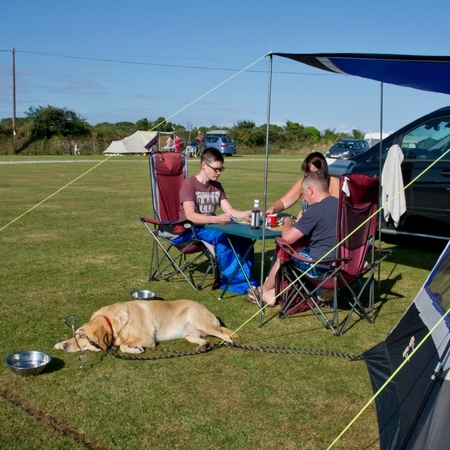 If you are planning a caravan or camping holiday in Cornwall with your family pet, Globe Vale is the place for you. We are a 5 star, dog friendly caravan and camping park, in a quiet location and surrounded by open countryside, but within just a short drive of the A30 and the town of Redruth. We are within easy reach of many beautiful Cornish beaches and there are plenty of walks for you and your furry friends to enjoy. Globe Vale is situated beside the famous Coast to Coast Mineral Tramway Track, offering miles of dog friendly walking opportunities. Tehidy country park welcomes dogs and their owners and is only a couple of miles drive at Portreath. We also have an onsite dog exercise field to allow our guests’ dogs to stretch their legs. There are several dog friendly beaches in the area. Some, including Gwithian, Trevaunance Cove and Perran Sands allow dogs all the year round. The famous 3 mile beach at Perranporth welcomes dogs on leads. In the off-season months, from October to Easter, Portreath, Porthtowan and Chapel Porth also allow dogs. Don’t forget Globe Vale is open all the year round so you can enjoy the autumn sunshine with your pet too! We allow dogs in the outside seating area of our bar/restaurant, although for the comfort of all our guests, dogs are not permitted inside. However, if you are out and about, there are plenty of dog friendly pubs in the area including our local pub The Treleigh Arms, The Miners Arms at Mithian, The St Agnes Hotel and the Driftwood Spars Hotel in St Agnes and the Fox and Hounds at Gwennap. 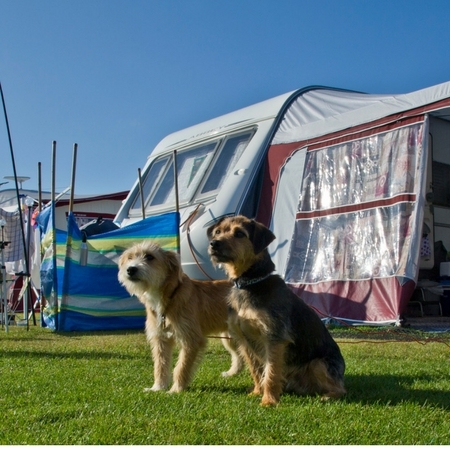 We are happy for you to bring your well behaved pets on your caravan or camping holiday (maximum of two at a charge of £3 per night each) but we do have one or two rules. Dogs must be kept on a lead in the public areas of the park. There are designated dog walking areas, including a dog exercise area. Dog mess must be picked up and disposed of in the proper bins or in the large skip located next to the recycling bins at the centre of the park. There is a fine of £25 for fouling on the park. Please do not allow your pet to cause a nuisance, you may be asked to leave the park without a refund if there is cause for complaint. If you want a pet free day out knowing that your dog is in safe hands, Briggan Farm Kennels will look after your dog for the day 01209 890630.